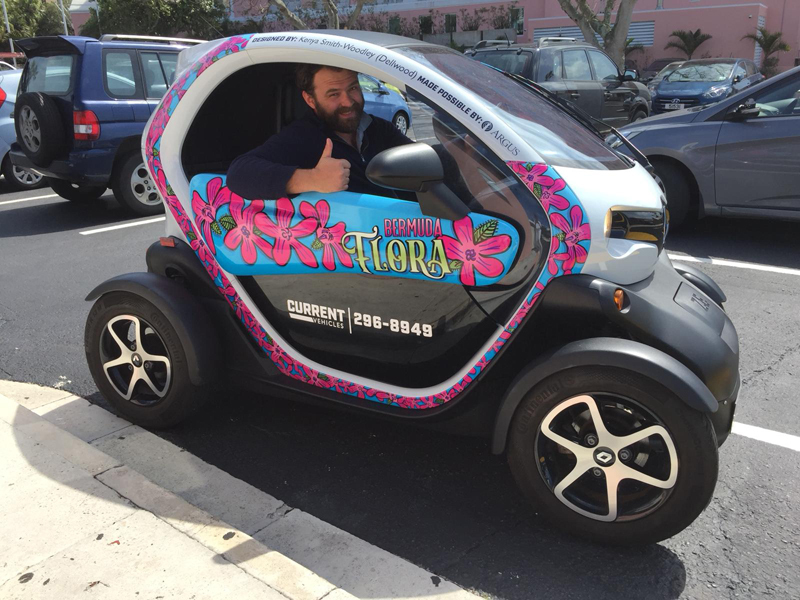 Current Vehicles, operators of Twizy cars, today [March 19] announced the winners of the Dellwood Middle School competition to design wraps for the outside of their rental cars and revealed the new designs. A spokesperson said, “The unveiling ceremony for the newly designed Twizy cars took place at Dellwood Middle School this morning, with the General Manager of Current Vehicles, Jerome Overbey, announcing the winners alongside Deputy Premier & Minister of Transportation Walter Roban. “Three students and one teacher saw their designs revealed on the Twizy cars and were awarded a complimentary weekend Twizy rental for their families. “The newly designed Twizies, designed by three students and one member of staff, have each been sponsored by Argus, Clarien, Cohort Limited and Hamilton Princess & Beach Club. Each Twizy will feature the name of its designer and sponsor. Sponsorship money of $4,000 was donated to Dellwood Middle School. “The winning designs were created by Kenya Smith-Woodley, who highlighted Bermuda’s flora with an eye-catching hibiscus design. 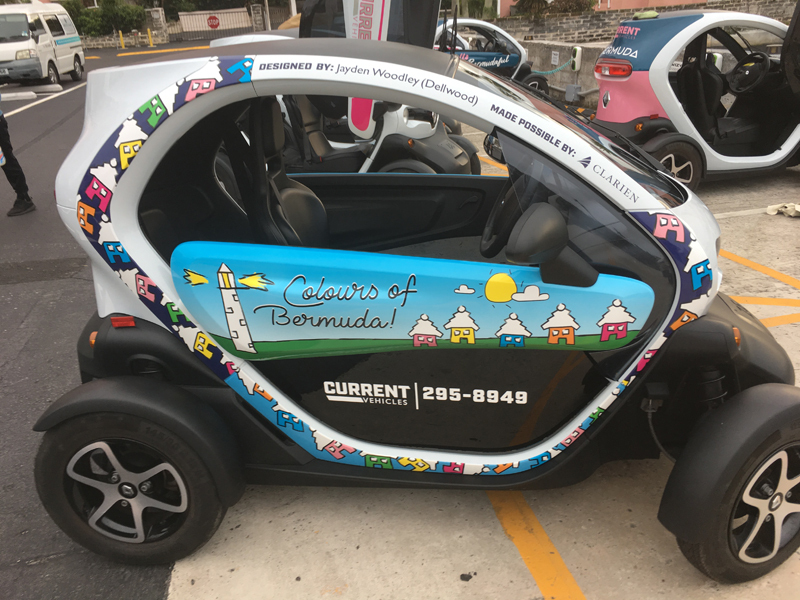 Her Twizy is sponsored by Argus; Jayden Woodley, who featured the “Colours of Bermuda” in his Bermuda house design. 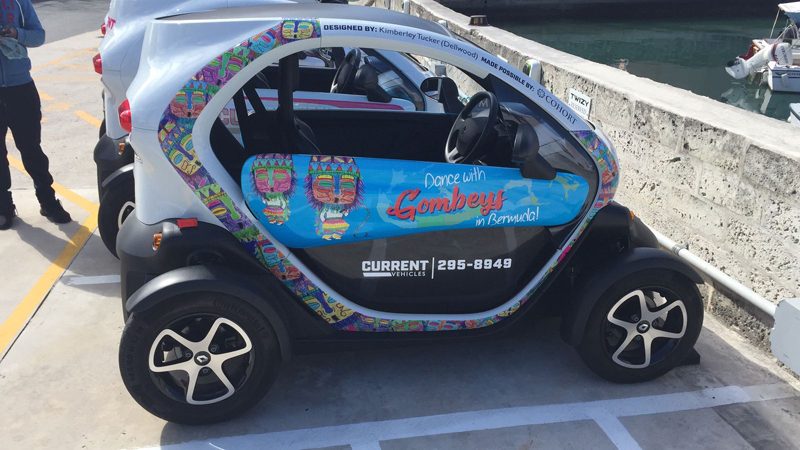 “His Twizy is sponsored by Clarien; Kimberley Tucker [Visual Arts teacher], won for her striking Gombey design. Her Twizy is sponsored by Cohort Limited; and Eden Smith, put symbols, such as moongates and Longtails, front and centre in her design. 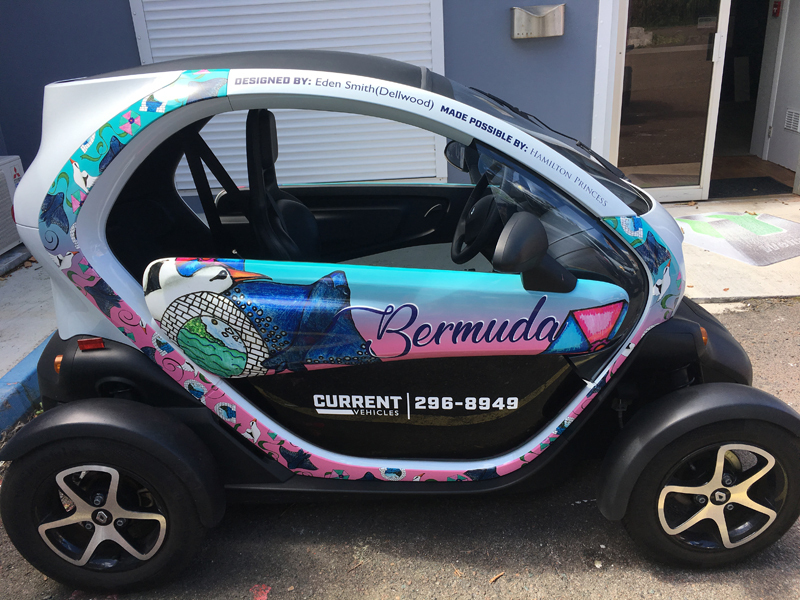 Her Twizy is sponsored by Hamilton Princess & Beach Club. “The winning designs were selected by the Current Vehicles team and their designers. Students whose designs weren’t selected may yet get a chance to see their work on a Twizy in the future as all entries will be kept on file for potential use as the company’s fleet grows. 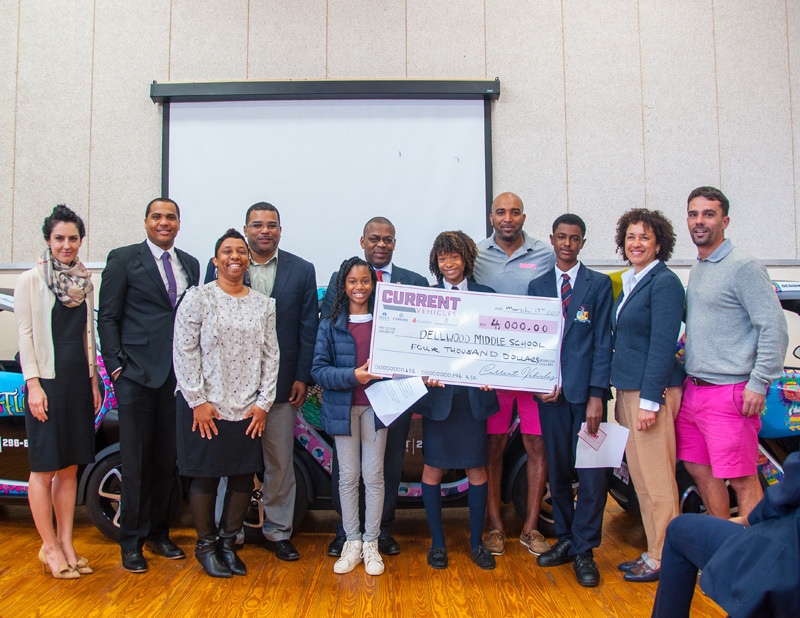 Piers Carr, Founder and Chief Executive Officer of Current Vehicles, said, “We are delighted with the winning designs that we received from students and staff at Dellwood Middle School. They are eye-catching and memorable. Great work Dellwood creative students and teacher. these vehicles are a tourist rip off! Great work, what an amazing collaboration. those designs a awesome, very colorful and pretty, good job delwood. Great job!!! I see you Mr. Eve!! !